Remodeling a bathroom is an exciting prospect – you’re constructing a relaxing space that adds value to your home and makes living in it that much sweeter. But along with the dual basins, that gorgeous new bath and everything else on your wishlist, there’s something else that will really give the room its bells and whistles. The most modern bathroom additions are TV and audio, and they’re probably easier to put in than you think. Imagine being able to sink into a luxurious hot bath and catch the latest episode of your latest Netflix obsession. It kind of beats holding a book up out of the water and drying your fingers to turn the page! 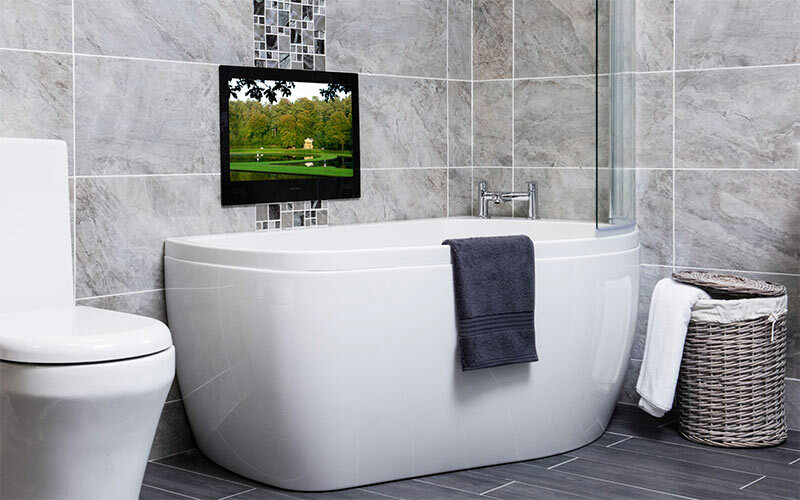 Waterproof televisions can now be easily installed next to baths, in showers or on bathroom walls. 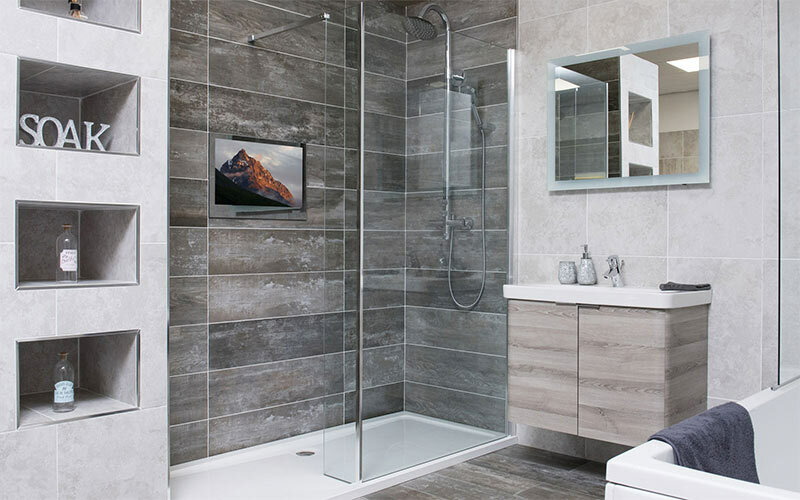 These modern versions have a number of key features that make them appropriate for a humid spaces and allow them to become part of a modern master, guest or family bathroom. Heated screens prevent mist from accumulating, while a special plastic enclosure keeps the television from suffering any water damage; these levels of waterproofing are certified by IP codes established by the International Electro Technical Commission to establish degrees of protection. 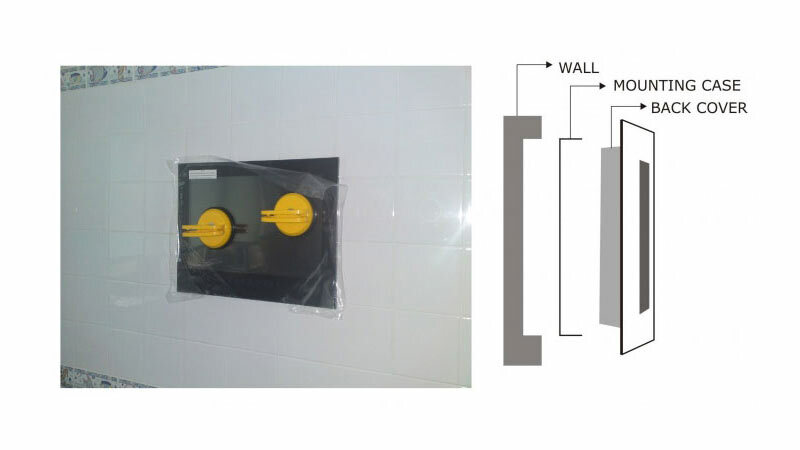 They are installed on a mounting plate and with an ultra-thin profile, they can easily be embedded in the wall. 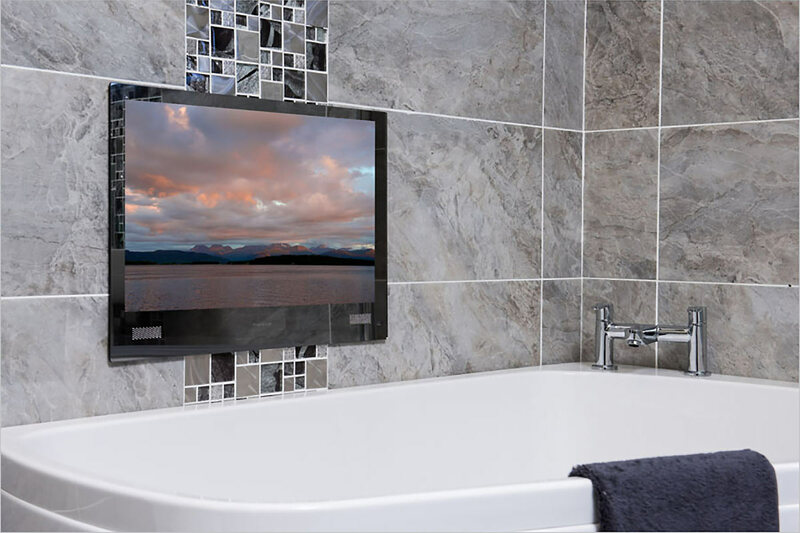 Many waterproof televisions also have built-in amplifiers to guarantee they can be heard above the sound of the bath running and shower spray, but they’re usually installed along with waterproof bathroom speakers. They can be controlled by a thin, waterproof remote control. You can also add a modern audio component with bluetooth speakers, to ensure you and any future owners of the home can enjoy music in the bathroom. Whether you enjoy upbeat songs in the mornings or some jazz with a glass of wine while in the bath, built-in waterproof speakers add incomparable ambiance and sophistication. There’s no more relying on your phone or portable speaker and being careful they don’t get even a drop of water on them. Bathroom speakers are entirely immune to moisture, and don’t think this means you have to live with bulky boxes or hanging cables. Today’s options are sleek and lay flush with the wall or ceiling. 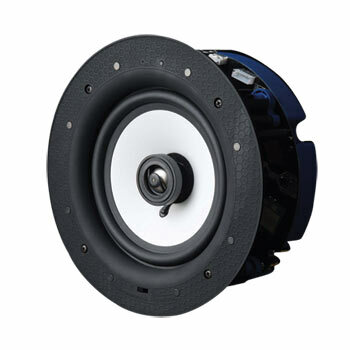 There are no speaker cables and they can be connected to the power source of the lighting circuit. This is a great way to add a modern touch to the bathroom even in a period home, creating a balance between old and new. Make bathtime fun for kids with their favorite songs, or why not listen to an audio book? Sound is the sensory element often missing from many bathrooms, and it helps to screen out household noises that can make it hard to relax. When the bathroom is under construction and you’re adding new furnishings anyway, it’s easy to add a television or speakers. But they can also be incorporated into finished spaces without much demolition or intervention. Both not only add value to your property but give it a fresh, modern look and feel to the space.